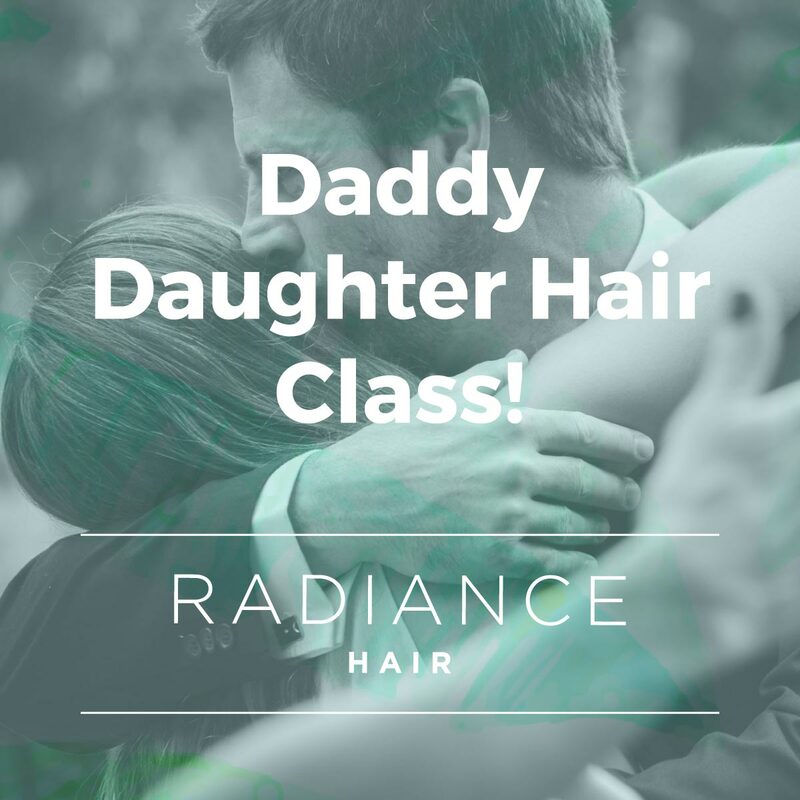 « Daddy Daughter Hair Class! Note, this session is available at anytime so please call us on 9958 4099 to arrange an appointment! This class is taught in salon by professional stylists. It’s certain to be an hour full of giggles and skills! There’s often occasions where a quick up-do by dad is necessary…this 1 hour class promises to deal with knots, braids and the tricks necessary for a no tears hair do. All you need to bring is Dad and daughter a hair brush, comb and some fav hair accessories that your daughter loves to wear in her hair.